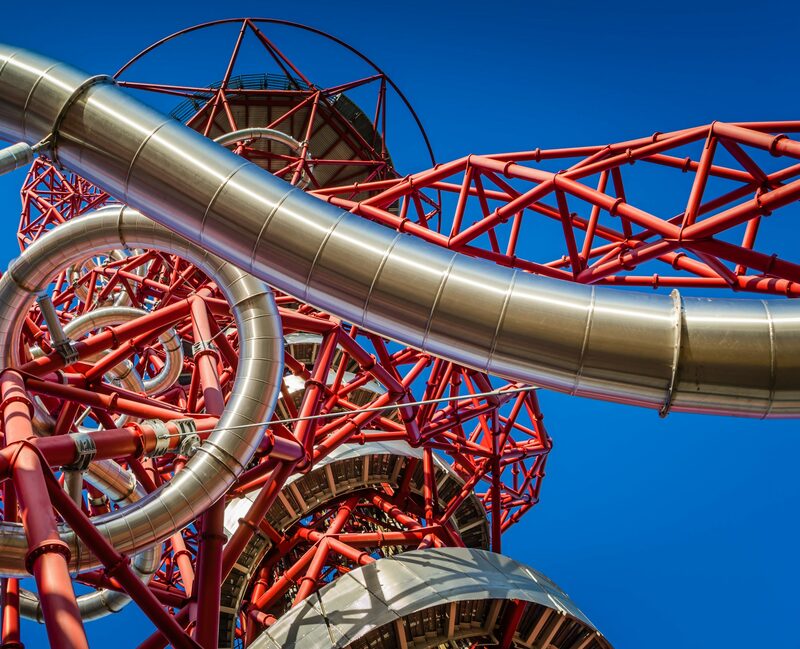 Visit the ArcelorMittal Orbit to explore the UK’s tallest sculpture, Ride The Slide and see London differently. Your visit starts at the base of the sculpture, exploring Anish Kapoor’s red lattice tower as it twists and turns above you. The lifts will whisk you 80m up to the viewing platforms and their distinctive panorama of London. You can then challenge your friends and family to the world’s tallest and longest slide – a hair-raising experience, not for the faint-hearted. 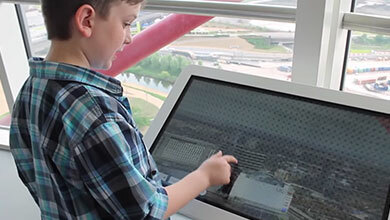 There’s so much to see and do at the ArcelorMittal Orbit, you won’t want to leave! Don’t forget, that once you’ve ridden the world’s longest tunnel Slide, you can go back to the top of the attraction and take in the stunning skyline views, turn the world upside down in the incredible concave mirrors and enjoy the soundscape if you choose to make your way down the stairs. At the summit, there is an amazing 360-degree view of London and the waterways, green spaces and iconic sporting arenas that make up Queen Elizabeth Olympic Park. Memories of 2012 come flooding back as you look down on undulating roof of Zaha Hadid’s London Aquatics Centre, the Lee Valley Velopark and the stunning London Stadium, new home of West Ham United FC. You’ll see a host of the most iconic buildings on the city’s skyline – the Shard, the Gherkin, Big Ben, the BT Tower, Canary Wharf and the O2 Arena as well as new additions to the landscape including the Walkie Talkie and the Cheesegrater. With views of up to 20 miles, from here London’s horizon takes in Alexandra Palace to the north, Wembley Stadium to the west, the Crystal Palace transmitter to the south and Epping Forest to the east. Football fans can see five of London’s finest football grounds. Interpret the views with interactive screens that tell the story of the ArcelorMittal Orbit and Queen Elizabeth Olympic Park and provide up-close information about the cityscape in front of you. Anish Kapoor’s polished concave mirrors play with your perspective and turn the horizon on its head. You can take the lifts down to ground level, or come down the 455 stairs with their specially designed soundscape soundtrack of London echoing around you. A visit to the ArcelorMittal Orbit is a reminder that the spirit of 2012 is still well and truly alive – and only a short journey away.